Are you recovering from your Halloween weekend sugar coma? 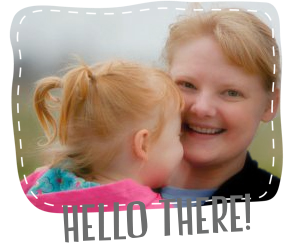 Well, I have some extra sweetness for you today... Our dear friend, Lori Holt of Bee in my Bonnet, has recently launched her first ever calendar, called the 2016 Cozy Cottage Calendar, featuring her beautiful cottage in Utah. 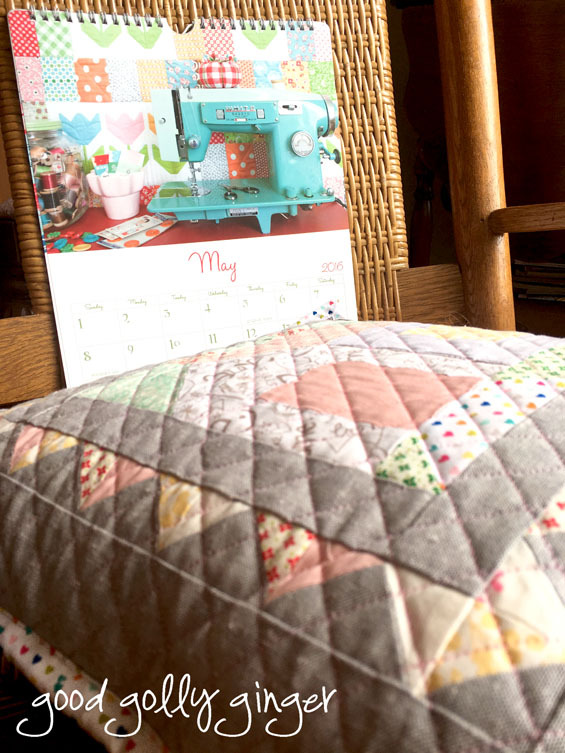 This twelve month calendar includes Lori's pattern for a house block in two sizes, plus a mini quilt and pillow. I dove headfirst into my low volume fabric stash for this cozy little cottage. 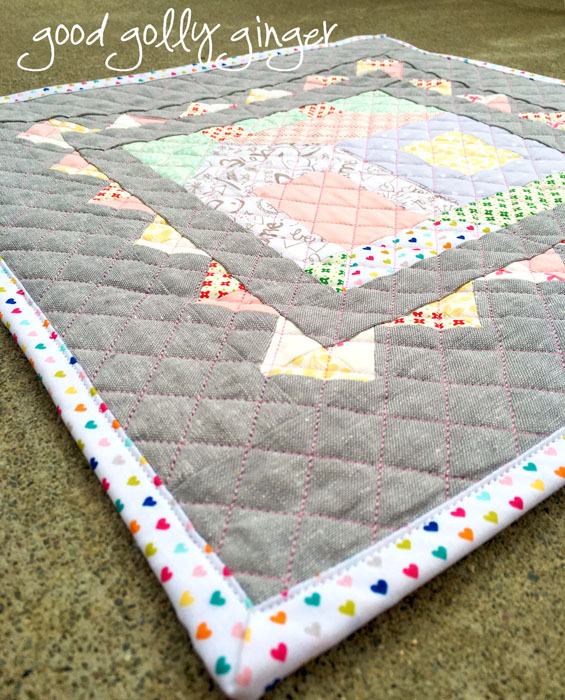 When I finished the block, I knew I had to bind the pillow with the left-over heart fabric. Too sugary sweet. This delicious celebration continues all week! 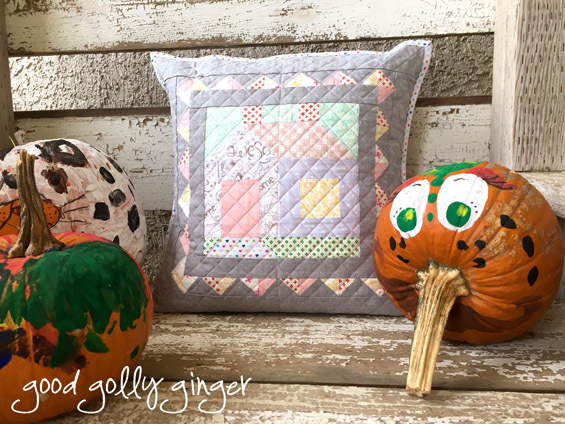 Check out more Cozy Cottage Calendar creations at the Fat Quarter Shop blog. Love your cottage! I already have my calendar and can't wait to hang it up next year. Love this with the soft gray background! Beautiful Cottage Block!